Join us for a very special night our in Sotira village. 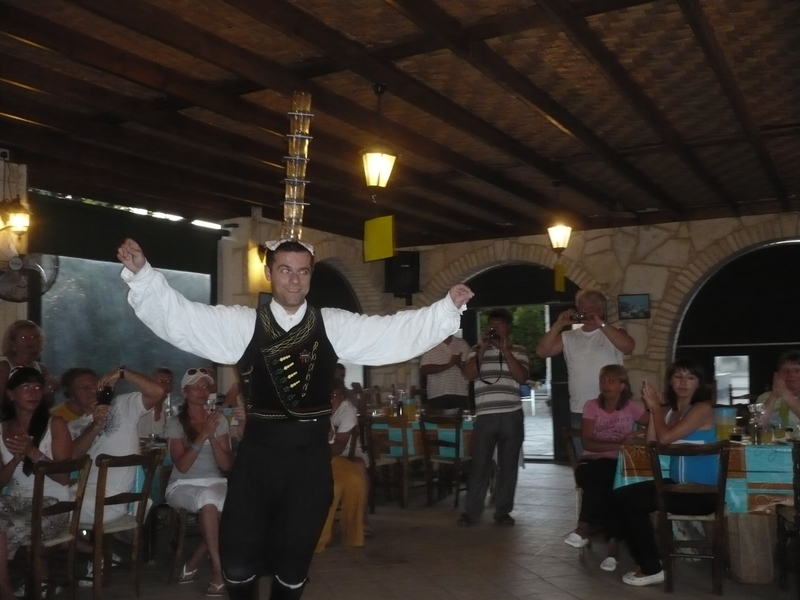 Buffet style dinner will take place at a traditional Cyprus taverna. A rich combination of traditional Cypriot hot and cold plates, salad, dips and fresh local fruits will be a memorable experience. All you can drink locally produced wine will top up your night. The entertainment program begins with music from a live bouzouki band playing Greek and Cypriot music. The highlight event will be a dance show from a local dance group performing Cypriot and Greek folkloric dances. All are welcome to join the fun and dance together “Zorba the Greek” syrtaki dance. Taste our traditional cuisine, experience our renowned hospitality and get a glimpse of our culture.